Welcome to Owen Flanagan's Home Page! 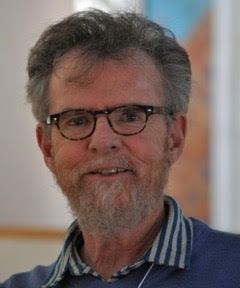 Owen Flanagan (Ph.D. 1978, Boston University) taught at Wellesley College, Wellesley MA for 16 years where he was Class of 1919 Professor of Philosophy. He came to Duke in 1993 where he is the James B. Duke University Professor. He co-directs Duke's Center for Comparative Philosophy and also holds appointments in Psychology and Neurobiology and is a Faculty Fellow in Cognitive Neuroscience and a steering committee member of the "Philosophy, Arts, and Literature" (PAL) program, and an Affiliate of the Graduate Program in Literature. In 2015-2016, he was Rockefeller Fellow at the National Humanities Center, Research Triangle Park, NC. In 2016-2017, he is Berggruen Fellow at the Center for Advanced Study at the Center for Advanced Study in the Behavioral Sciences at Stanford University, Stanford, CA. In 1993-94 Flanagan was President of the Society for Philosophy and Psychology. In 1998, he was recipient of the Romanell National Phi Beta Kappa award, given annually to one American philosopher for distinguished contributions to philosophy and the public understanding of philosophy. He has lectured on every continent except Antarctica, where however he has been.